Surprise! First of all, welcome everyone to the new site and a brand new start to my journey in blogging. I’m so excited and so nervous about Raising Whasians! There’s so much to talk about, but first we should started with why I rebranded and all the things that a rebranded blog needs. Hopefully this will answer some of those pressing questions you may have about the new name and why I did this NOW. Here we go…. Believe it or not, this new site has been on my mind ever since I switched from coupons to parenting back in 2013. Had I been a little bit braver and smarter, I would have taken the leap of faith then. But thinking I could rebrand with my current name, Saving Said Simply, I had built my blog into something I never thought it could be, a fun and profitable way to tell my family’s journey. I never dreamed of making a living off of doing something I truly enjoy. And it’s been amazing to walk through from earning peanuts to an actual salary. But the thorn in my side this whole time? My name. It actually hit me this year when I went on a blog trip and you go through the motions of the normal introductions. Who are you? What’s your site? And Every. Single. Time. I had to sit there and explain why my name is what it is. “I started with couponing. I moved to family. No, I haven’t changed my name.” And to be honest, the explaining myself got to be frustrating. And that really got me thinking. Why should I be frustrated with my site and not proud of it? How many possible opportunities have I missed out on because someone popped over to my site, saw my name and said Adios? Ironically, I was starting to get more pitches too…for couponing. The ones where someone supposedly “did their homework” on me, even got the spelling of my name right. I checked out Saving Said Simply and love what you post for your fans. The savings and coupons you provide for them must really help them in their daily lives. I’d love to partner together for this new coupon site XYZ. Let me know when it’s a good time to chat. And as much as I appreciated that part of my blogging experience, it is not who I am today. It is not my blog today. I offer and want to offer so much more for my fans. The first thing I needed to do was find my new inspiration. What would the site be about? And then I realized, I’ve had my muses all along. Hence Raising Whasians. My 2 beautiful pieces of the site have been right with me, holding my hands through all of this. 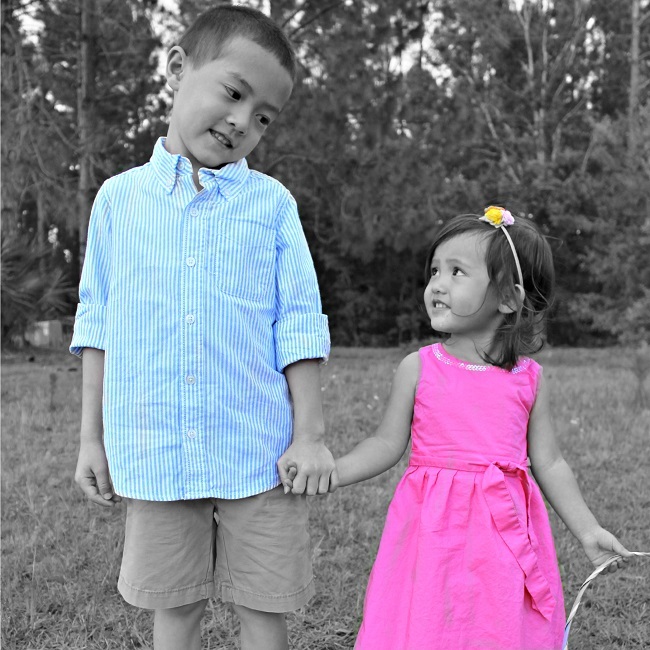 The gorgeous kids whom have been lovingly nicknamed “whasians” since birth are always been the inspiration behind everything I do on this site. 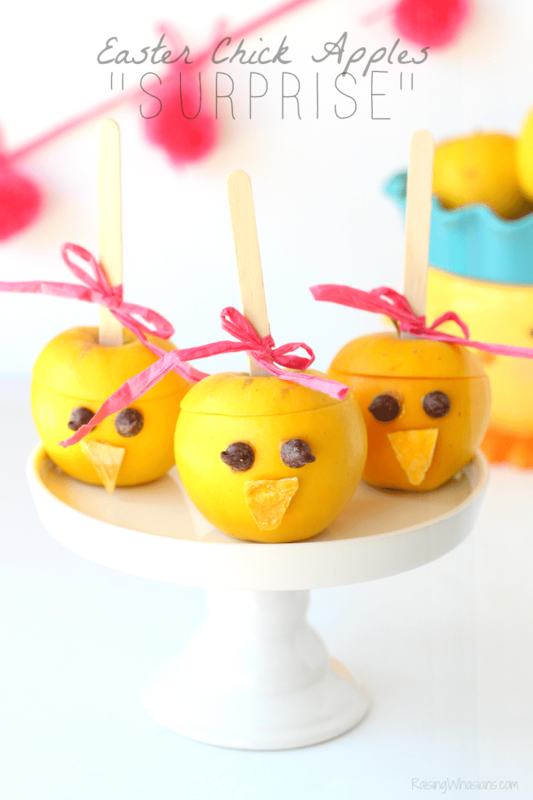 I think of them when I cook a recipe or make a craft with them or post the latest meltdown they ensued. And let me take the time now to emphasize the words LOVINGLY nicknamed. I don’t see “Whasian” as a derogatory slang for my children, but a beautiful representation of who they are. Children born from parents of 2 different cultures, blended beautifully into the treasures I get to call mine. I want the world to know how amazing these kids are and how much their lives are the same (and even different) from the rest of the world’s. I want my blog to be that niche for every parent, a blend of everything. Where culture, race, and our differences make parenting BEAUTIFUL. This is the explanation I want to give when I explain my name of my site. Not “I was this at some point of my life and have muddled my way to here.” That every time I open my mouth to speak about my site, I am reminded of family. As with any blog rebrand, it’s kind of a big deal. The online “identity” you had, the trust and presence in the world is no longer there. So basically, it’s like I’m starting at the bottom. Waiting to be discovered by fans, by Google (let’s hope the Google thing happens soon), by the world. So to keep my expectations low, my only goal right now is to have everyone realize and celebrate the new name with me. Hopefully, you will accept the change with open arms. It’s scary. And anyone who tells you rebranding your work is anything but…..is either really confident or lying. I never dreamed that I would have gone from toying with a new name to now. It’s here. The next step in the journey. I’m starting over. I’m starting new. I’m starting….something. And I definitely have fears that this will completely backfire in my face. I’m sure that I will have days where I will ask myself “why did I ever change from Saving Said Simply?” And there will probably me more mistakes made along the way…because hey, there’s no instruction manual for this. I’m winging it! There’s a whole bunch of questions I have that are still unanswered. And to be completely honest, there are moments when I have absolutely no idea if the decisions I’m making are the right ones. I’ve chartered a course into the unknown. And all of the research in the world on blog rebranding will never guide me perfectly on my unique journey. I will make mistakes, tons of them. I will have to make more difficult ones. There will be tears. And I will have to rely on God more than ever as I make more faith leaps for what is right for me and my family. But it’s this fear and the unknown that is now driving me. My motivation. To get from fearful to confident. And every day, I get a little closer. Today, an even stronger dose of courage. Because I finally did it. Over 3 years of making that commitment, finally here. I certainly embrace who I was as Saving Said Simply, my past and my journey. But today I look forward and upward to what Raising Whasians could be. And it starts with this first step. 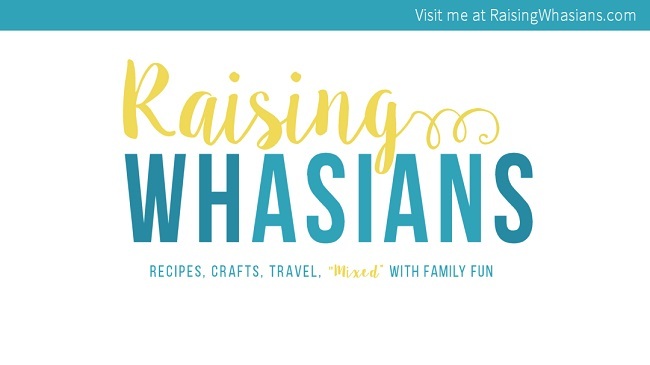 Be sure to follow Raising Whasians via Facebook, Twitter, Google, Instagram, Pinterest and YouTube for more great recipes, kid crafts, and saving family moments! Congratulations on your rebranding! I know firsthand that it can be scary. I can say this, when you know it’s time, you just have to do it. It was the best thing I ever did! Congrats on rebranding and your new site looks wonderful. This was a big step and I am sure it will pay off. I think you made the right call. Any time you have to explain your blog’s name that much, you’ve got a problem. Rebranding is huge. I love my blog name, but I know at some point I will need to rebrand – like when my kids are older. Exactly how I feel……..and you’ve taken that brave step! So proud of you! Maybe I can follow in your footsteps one day……like you were, I’m still not sure. So happy for you! I applaud you! It is not easy to make huge changes! As the grandparent of a little Whasian I will be glad to hear your experiences. Congratulations on your rebranding! Your site looks wonderful and I am so excited to be on this new, updated journey with you. Congratulations! Love the new look and name! Best Wishes with the new site & kudos for having the courage to do it. Congratulations!!! This is very exciting. This is an awesome new step. I can definitely relate to the rebranding experience. It was pretty scary at first. I love the rebranding and love the name even more than the old one! GREAT job!! I love the new name and new look. Congrats on your rebranding! Congratulations on your new brand. Change is always a little scary, but I have no doubt that you will still a huge, if not a bigger, success. Best of luck with everything. I love the new name! Congrats on the new adventure! I think it’s a great thing to reevaluate and focus on what you love to do. I am a fairly new blogger and I am already thinking of re-branding. I have found my niche and it does not match my current theme and blog name. I’ve been thinking about re-branding my blog for a while now too. The frugal niche can be a hard one to “stand out” when there’s so many of us out there. I am glad to ease of the transition and the devotion of your fans. Congrats on the change! I did this a few years ago and it was super stressful but worth it. Congrats on the re-branding, it’s the same great blog with a different name. I can’t wait to see more of this new blog! Congrats on finally moving forward with it! Re-branding is definitely challenging, I hope doing so exceeds your expectations! Congrats on your re-branding I love the new name and wish you all the success. Congrats on rebranding! It looks wonderful and I’m sure this will be so wonderful for you! I look forward to reading whats to come! Congratulations on your rebranding, I think it looks fabulous and I love the name! Your site looks amazing. I love the black and white photo with the color on the clothes. Congratulations on the rebranding, I wish you all the best! Well, I’ve been following you for a while now and I am glad I came here and read what the changes were all about. Good luck! Happy to help you celebrate! 🙂 And yep, the name should make you happy, not leave you explaining, I agree. Oh congrats. I do like this. Great job. Congratulations and good luck with your blog’s rebranding! That can definitely be a scary, but exciting change! Very cool. Looking forward to reading your posts! Good luck on the re-brand! It can be scary, but it will work out! What an incredibly smart rebranding! Love it- congrats! I love the rebrand! Everything about it. I’ve been debating about a rebrand, more a merge, for a while. It’s a very scary thing to think about. But, I know there are more opportunities for me if I were to merge. A lot of “what ifs” though. Will you be posting more about how you did the rebranding, forwarding, and address some of the things that come along with doing a whole new website?